It was electric to be in the room. Edward Snowden’s going to be a very important figure. I just couldn’t get over how a guy who essentially works with data for a living, was also so eloquent. He has such moral strength to do what he did. On this episode of People of Purpose, Johanna speaks with Sally Hill about hosting Edward Snowden on his first Australian panel, the positive movement changing business as usual, and the process for creating meaningful experiences in every event produced by the team at Wildwon Projects. Sally is pictured here with Co-founder Yvonne Lee. About Sally: Sally Hill is the co-founder of Wildwon Projects, a positive business and certified B-Corporation committed to helping other enterprises thrive. 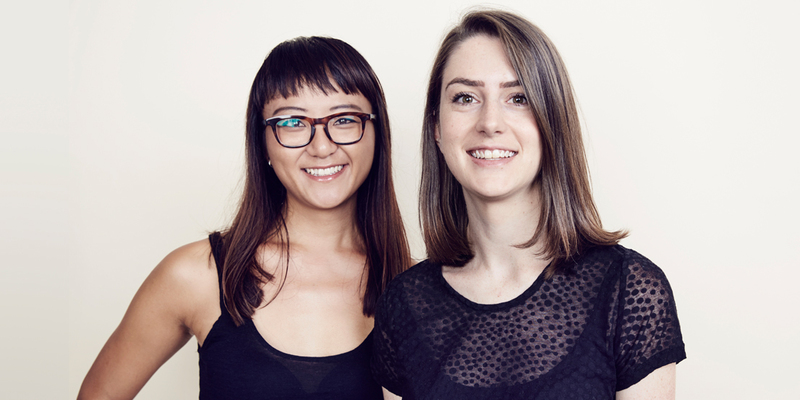 Wildwon’s focus is on meaningful experiences – live events designed using the principles of user experience, a strong digital storytelling component and a commitment to driving change – something she and co-founder Yvonne Lee are always careful to measure and prove after each event. The team at Wildwon has worked with many values-led organisations to produce wonderful events like Progress for The Centre for Australian Progress, Link Festival for Engineers Without Borders, and the ethics lounge at The Festival of Dangerous Ideas. This December, the crew will launch their very own conference called Purpose 2015.